GROUND Asia’s experiential learning journeys combine the local community’s needs, aspirations and ambitions with groups of young people aiming to strengthen leadership skills, build resilience and improve their cross-cultural understanding. Creating the best environment for long-term community development through responsible educational travel programs makes way for more authentic and immersive local experiences, ultimately benefiting us all. GROUND Asia partners with communities across Asia to assist in their sustainable development. The communities we work with are our clients. We work with them to design mutually beneficial programs ensuring that the community’s development needs come first. We create customized journeys for students and business teams that strengthen leadership skills, build resilience and teach cross-cultural understanding. GROUND Asia recognizes that the goals of each team are different so every step of our educational travel programs can be altered for the best fit. Similarities unite more than differences divide, and this transformation in understanding is the lifelong legacy that our educational travel programs leaves for both participants and local communities. Great trek. Great guides. A reasonable challenge for the fitter students yet not too difficult for the less active students. Some did find it very hard but pushed through to complete it which, even if they don’t see it immediately, this will be a great lesson in perseverance for them and patience for me. Taksim ensured safety at all times and was professional and sensitive to the needed of each team member. He displayed genuine care and a desire to make sure that everyone enjoyed the trek. His knowledge of local flora and cultural diversity along the trek route was informative and gave the experience authenticity. I would highly recommend Taksim and his team. They were all dedicated, enthusiastic and supportive to everyone. 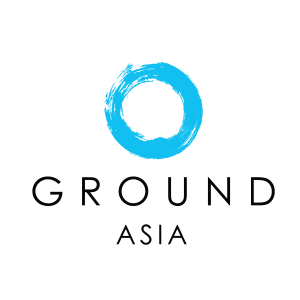 GROUND Asia is committed to creating unique and challenging educational travel programs that respond to the needs of our partner communities and our participants. All of our journeys are based upon community development, immersive local experiences and authentic cultural exchange. The GROUND Asia team is located in six countries across Asia – working closely with our partner communities as possible to facilitate long-term, sustainable development. Our local staff are experts on their own countries, and are always nearby supporting our student groups and facilitating activities. Subscribe to our newsletter and receive special offers right in your inbox! Our transformational programs leave a lifelong legacy for both GROUND participants and local communities.